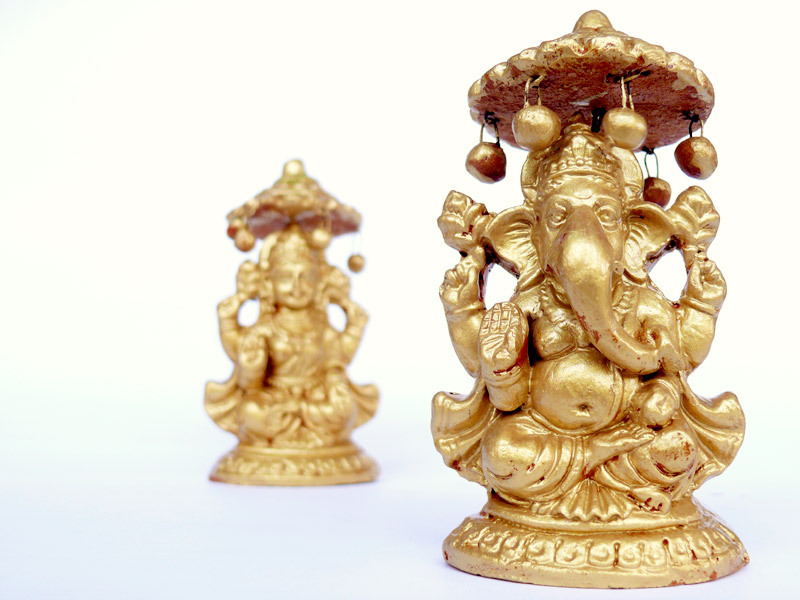 Terracotta Laskhmi Ganesh which were painted Golden by Manuraj. You need to change those things that bother you and I am surprised why I have not tried to do it. Lakshmi is the Goddess of Money and is worshipped on Diwali along with Lord Ganesh. Now money is one of the most important things in life and I understand why we would like to worship Lakshmi. That being said, knowledge is also a very important thing to have so why don't we worship goddess Saraswati. Next Diwali, I shall have a picture/statue of Goddess Saraswati for Diwali Pooja.